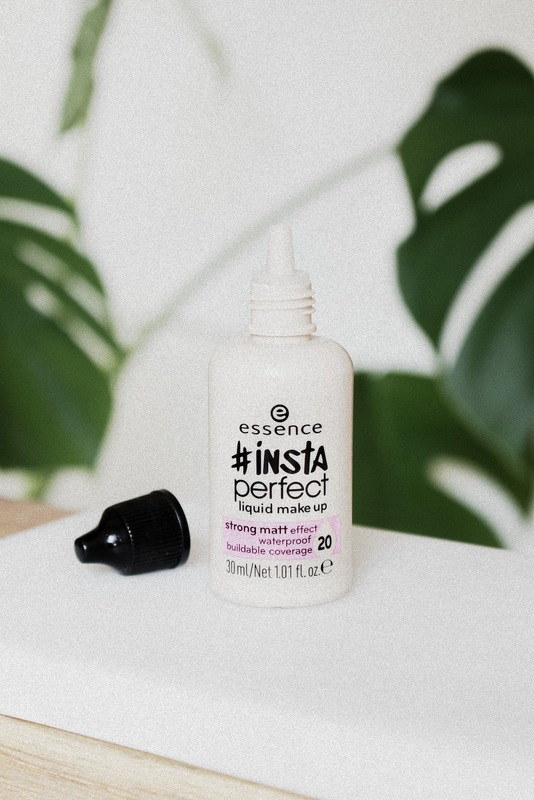 Essence Cosmetics recently released a new foundation in their makeup line: the Essence Insta Perfect Liquid Makeup Foundation. It is available in 9 different shades and is super affordable as it only retails for just under 5 bucks. 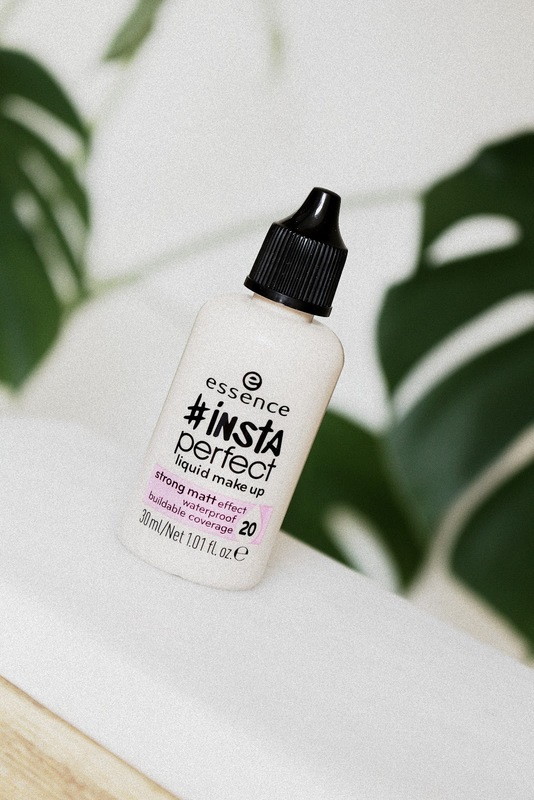 Essence promises that their new #instaperfect makeup has a strong matte effect, with buildable coverage that is long lasting and waterproof, yet lightweight. They also encourage you to mix and match their new foundation, if necessary, to attain your perfect shade. I'm very happy Essence finally decided to be more inclusive with their range this time, they're not quite there yet but it's a start. They previously would only have a maximum of 4 different colors. I do have to ask, when will they finally decide to simply call their foundations a 'foundation'? 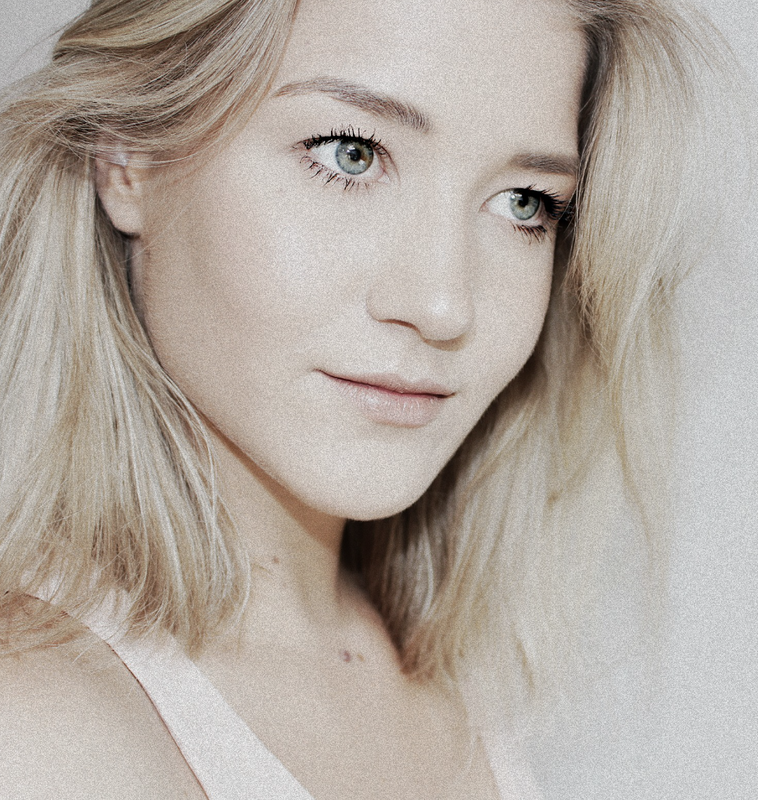 What does liquid makeup even mean? Even though I've tried a lot of essence makeup in the past, I didn't really know what to expect going into this review. I'm glad they're on trend, for once, as it usually takes affordable makeup brands a little longer to release products similar to those that are quite hyped at the moment. When I saw this #instaperfect foundation I immediately thought about all the other face and body foundations every cosmetics brand has been throwing at us in the past months. The Mac Studio Face & Body Foundation looks exactly like this, although that one has been available already for quite some time. Dior is the company that released one recently, the Dior Backstage Foundation. I have to say that I came pretty close to buying that one, more than once, but here we are. Is the new Essence foundation a yay or a nay? I got mine in the shade 20 very vanilla. I shade matched myself by ordering this online on the Kruidvat website and very vanilla turns out to be perfect for me, surprisingly. I also ordered one of the new Essence concealers and one of their new primers, so don't hesitate to pay my blog another visit soon to read those reviews! 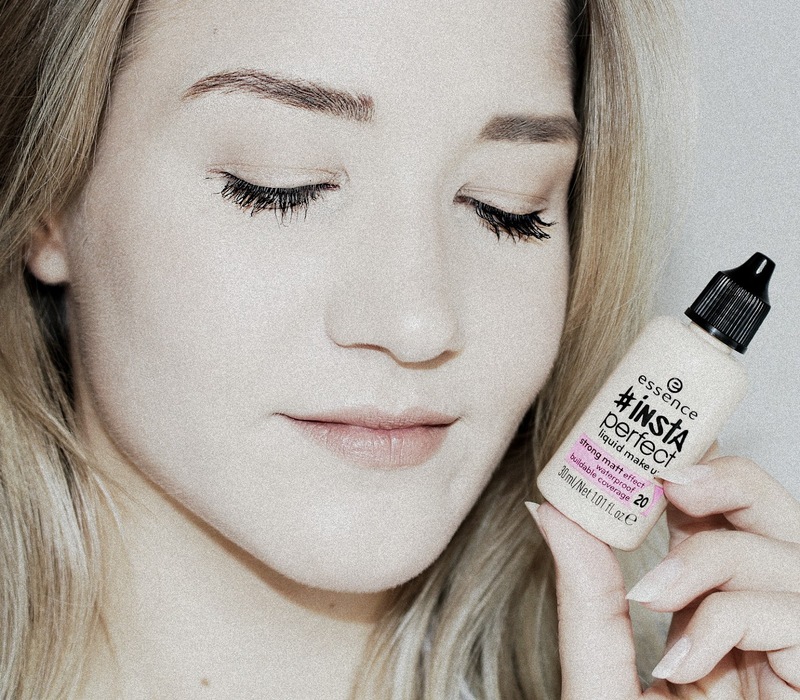 I have to be honest, matte formula foundations isn't usually what I go for as they often turn out patchy on my skin but this Essence liquid makeup has proved me quite wrong. It looks good. Not gonna lie, I was sceptical at first, the formula is rather creamy and it blends in kind of odd, however it keeps getting better and better as you keep on blending more and more. You definitely need to take your time to work this into the skin. I do use good base products underneath my foundations, so I'm 100% sure that isn't a concern here. The coverage is very light. I find I squeeze out product for a total of 3 times to achieve a look that I'm satisfied with. 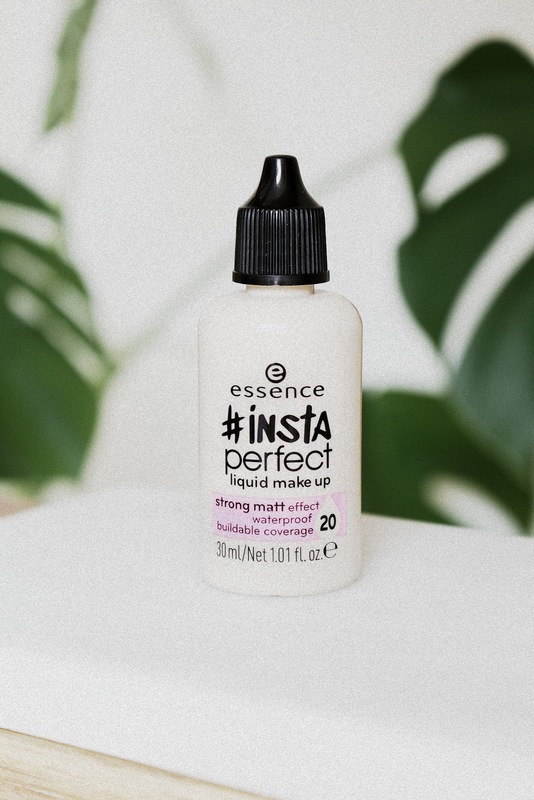 I wouldn't say this is a great foundation if you have blemish prone skin, or suffer from acne, because you'd finish this Essence Liquid Makeup in no time, but if your skin is rather smooth, this is a product you might like. The component looks very small in real life but it contains as much foundation ad any other bottle, 30ml. I was a little confused at first because it looks really small. The new Essence Insta Perfect Foundation is okay, I like it, but I wouldn't consider it an absolute must have. I'm guessing that opinions about this product will vary a lot. If I had to compare this launch to their previous one, I'd say that I like the Essence Fresh & Fit Awake Foundation more, it's a formula that is easier to work with and a lot more reliable, no matter what kind of skin type you have. I'm glad I tried this new release but it's not a product I'll be reaching for again. The issue I have with it is the fact that it doesn't blend in effortlessly, some people just don't have hours to spend on their makeup. 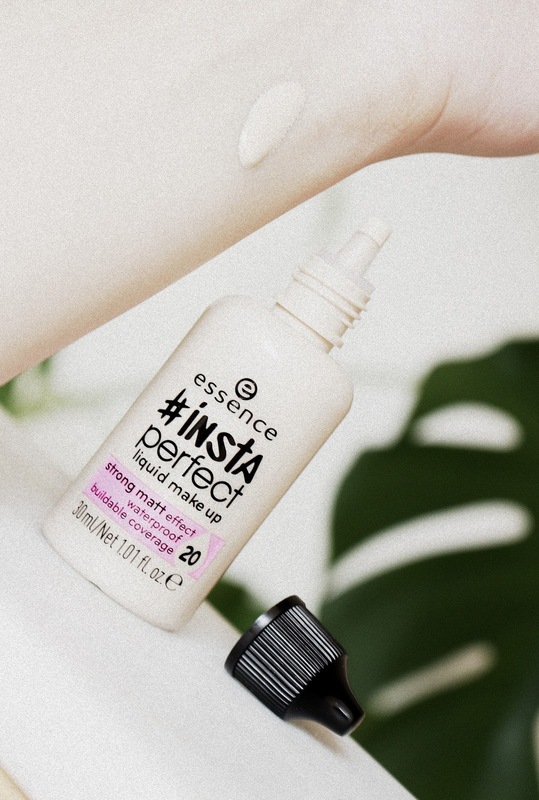 I've never tried any Essence base products before, and I was quite excited about this review. But after reading it, I think I might go for the Fresh & Fit Awake foundation instead. Thanks for sharing! I'm soooo excited to buy it! It indeed took essence a long while to come up with a wider shade selection and I think I'll have to mix 2 bottles to get my medium, yellow undertone shade. Love the review, super honest!